Don’t buy new or used part, send your original for repair and Save Hundreds! This is a Repair & Return Service for your Cadillac CTS (2014-2017) Cue System Screen Repair (Not Responsive Touch Screen). You must send us your part to us for repair. Fast & Easy 24 hour turnaround. Our service is 100% guaranteed or your money back. Order today and save! Don’t buy new or used part, send your original for repair and Save Hundreds! This is a Repair & Return Service for your Cadillac ATS (2013-2017) Cue System Screen Repair (Not Responsive Touch Screen). You must send us your part to us for repair. Fast & Easy 24 hour turnaround. Our service is 100% guaranteed or your money back. Order today and save! Don’t buy new or used part, send your original for repair and Save Hundreds! This is a Repair & Return Service for your Toyota Camry 2012-2017 MP3 CD Radio Screen Repair. You must send us your part to us for repair. Fast & Easy 24 hour turnaround. Our service is 100% guaranteed or your money back. Order today and save! Don’t buy new or used part, send your original for repair and Save Hundreds! 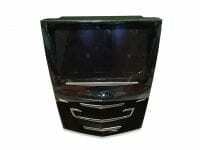 This is a Repair & Return Service for your Lexus IS250 Navigation CD Radio Screen Repair. You must send us your part to us for repair. Fast & Easy 24 hour turnaround. Our service is 100% guaranteed or your money back. Order today and save! Don’t buy new or used part, send your original for repair and Save Hundreds! This is a Repair & Return Service for your Lexus IS350 Navigation CD Radio Screen Repair. You must send us your part to us for repair. Fast & Easy 24 hour turnaround. Our service is 100% guaranteed or your money back. Order today and save! Don’t buy new or used part, send your original for repair and Save Hundreds! This is a Repair & Return Service for your Lexus IS-F Navigation CD Radio Screen Repair. You must send us your part to us for repair. Fast & Easy 24 hour turnaround. Our service is 100% guaranteed or your money back. Order today and save! Don’t buy new or used part, send your original for repair and Save Hundreds! 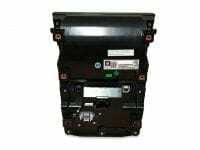 This is a Repair & Return Service for your Lexus GS300 Navigation CD Radio Screen Repair. You must send us your part to us for repair. Fast & Easy 24 hour turnaround. Our service is 100% guaranteed or your money back. Order today and save! Don’t buy new or used part, send your original for repair and Save Hundreds! 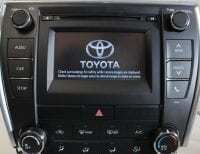 This is a Repair & Return Service for your Lexus GS350 Navigation CD Radio Screen Repair. You must send us your part to us for repair. Fast & Easy 24 hour turnaround. Our service is 100% guaranteed or your money back. Order today and save! Don’t buy new or used part, send your original for repair and Save Hundreds! 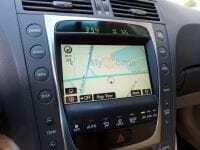 This is a Repair & Return Service for your Lexus GS430 Navigation CD Radio Screen Repair. You must send us your part to us for repair. Fast & Easy 24 hour turnaround. Our service is 100% guaranteed or your money back. Order today and save!